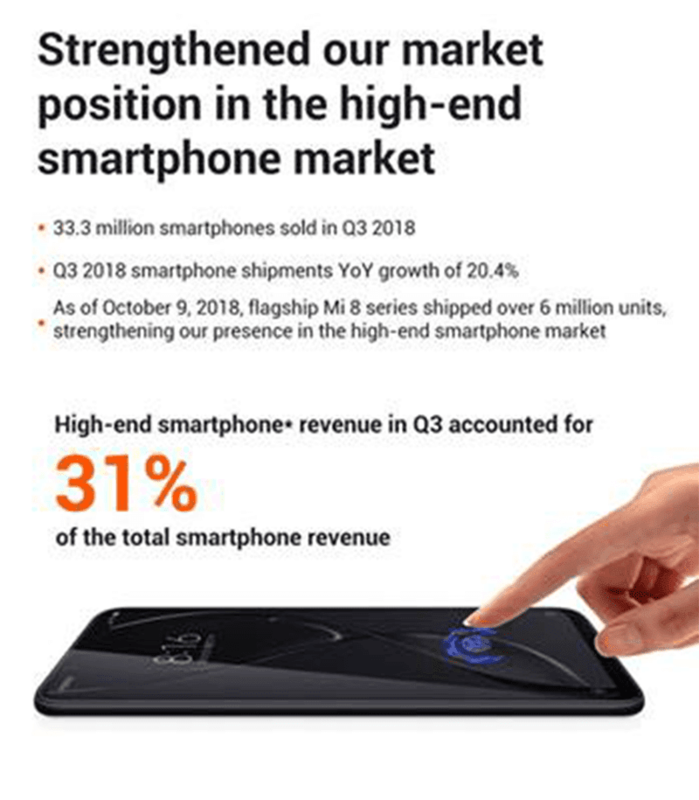 Xiaomi just announced its unaudited consolidated results for Q3 2018. Its revenue is up by 49 percent across all its business segments. 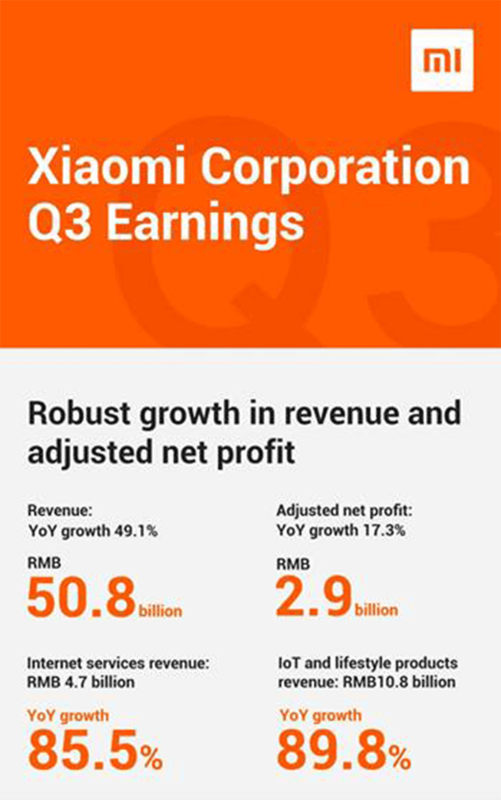 Xiaomi recorded CNY 50.846 billion (PHP 300.6 billion) in revenue which is equivalent to a 49.1 percent YoY increase. Their net profit reached CNY 2.48 billion (around PHP 18.7 billion) during the said period. The company recorded rapid growth across all its business segments from smartphones, Smart TV, laptops, peripherals, ecosystem, and IoT products. For smartphones, Xiaomi recorded a revenue of around CNY 35.0 billion or a 36.1 percent YoY increase. Last October they reached the 100 million mark, the company's 2018 target two months ahead of schedule. Their revenue from Smart TV and laptops grew to CNY 4.227.2 billion or up by 100.3 percent. IoT and lifestyle products grew to CNY 10.8 billion or around 89 percent of YOY growth. Xioami's other ecosystem products like the Mi Band, Mi Electric Schooter, and Mi VR grew to CNY 4.7 billion or around 85.5 percent YoY growth. Even their advertising revenue grew to CNY 3.2 billion with 109.8 percent YoY increase. As of writing, Xiaomi is the number 4 smartphone brand in the world based on the Q3 data of IDC. In world of wearables, Xiaomi is the number 2 brand in the world.